Join a local pastor in providing various types of community development services to the marginalized Haitian refugees living in the Dominican Republic. This ministry focuses on building projects for various schools and churches that serve Haitian children who have no others means of education. Join us as we serve the community of Jarabacoa, Dominican Republic through health care, appropriate technology, agriculture, education, special education, physical therapy, dentistry, micro-finance, sports, and social work. Use your vocational interests or passions to work alongside Students International’s full-time staff as they share the Gospel through meeting physical needs. There are over 50 unreached people groups living in Brooklyn, and the International Project is actively working to bring the Gospel in a tangible, culturally intelligent way. Teams will partner with local missionaries for a week of evangelism among diaspora and unreached people groups in the city. This team will receive basic training in cross-cultural evangelizing techniques and go out into the community, looking for “People of Peace” who would be open to studying the Bible or learning more about Jesus. Set amongst the beautiful beaches of Costa Rica, you will find Clinica CEDCAS. CEDCAS seeks to promote whole health by meeting physical, spiritual, emotional, and social needs. Come partner alongside CEDCAS through a variety of ministries. Teams could work in construction, teach on preventative health (workshops), teach English, or serve in the partnering communities with local churches. This is an opportunity to partner with Youth World which exists to impact Latin America with the life-saving gospel of Jesus Christ. The team will be based in Quito, Ecuador and focus on education, service and leadership development with Ecuadorian youth. This is the inaugural Alumni Action Team open only to those who both participated on an Action Team and graduated from APU between 2014-2018. 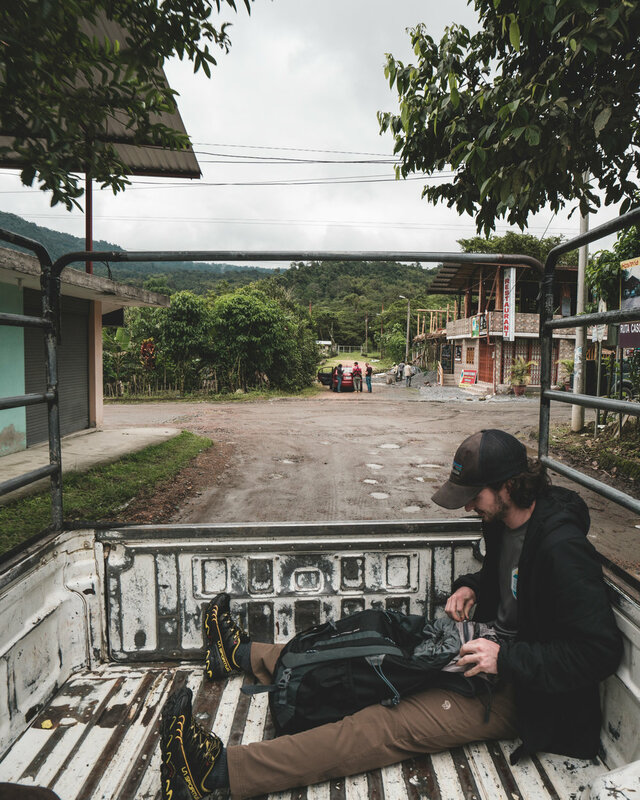 Clubhouse is a multi-project ministry using things like food packs, chicken coops, house construction, water filters, education, medical and dental, men's and women's conferences, VBS, Sports camps and other ways to share the gospel and to help change future generations in Guatemala. This team will have the unique opportunity to serve the host organization by helping them clean, organize and prepare to receive other teams throughout the summer. This team will be primarily serving the host team. Kids Alive International has a care center in Pucallpa, Peru where we work to meet the spiritual, physical and emotional needs of kids. Work with our everyday staff by caring and ministering to these amazing kids by helping them with homework, working on the physical facilities, and building quality relationships. Your heart and your eyes will be opened to what God is doing in the world and in the lives of those experiencing poverty. ByGrace Children’s Home, Primary School and High School are located at the foot of the Ngong Hills, 25km southwest of Nairobi, Kenya. ByGrace Children’s Home was founded in February 2005 by Stephen and Rosemary Mbogo to provide a haven to the growing number of orphaned and destitute children affected by the HIV/AIDS pandemic. Today, ByGrace Children’s Home and Schools serves children from a variety of backgrounds. The focus of this trip is building relationships with the children and staff of the home and schools. This can be done through sports, music/worship/dance, drama, photography, arts and crafts, assisting in classes and homework or other activities, depending on the interests of the team. This trip is designed for students who want to use their Computer Science skills to make a positive social impact in the world. APU students will partner with CS students/professors from the Namibia University of Science & Technology to continue work on a project to create an electronic medical record system for Namibia's public hospital system. Students are expected to take a 1-credit course (CS495) in the CS department during Fall 2018 and/or Spring 2019 semester(s) where they will be working on this project contributing code to an open-source system called HospitalRun. Contact Dr. Dan Grissom for more information. Serve in a local orphanage by building deep relationships with both the children and the staff. The team may also be able to help with various projects through Victory Community Care’s ministry. Their ministry extends to the children in Akanajuka Orphange, the young boys in the Hemora Boy’s Home, the women being trained and encouraged through the micro-finance loan ministry, as well as the local school and church in the community. This trip will enable you to deeply invest into a community and fully engage in an entirely different culture in the month long trip. You’ll have an opportunity to go on a safari and closely experience the things that make East Africa such a colorful and lively place. The CRU mission is making many new friends, living life with university students, explaining the gospel to those who are interested, and discipling those who have already embraced Christ. This team will join the long-term staff stationed there and become a part of a university community in that nation. Students will connect with nationals through language classes, joining student clubs (art, history, soccer, chess, business, etc. ), hosting parties, and frequenting the campus cafeteria and cafes. In the mysterious foothills of the Himalayas live mountain peoples who have remained relatively isolated from the rest of the world for centuries. There are villages that have no believers, have never heard, and have no one intentionally trying to reach them. Journey with us at these extreme high altitudes (10k-16k ft) praying through day hikes and short treks to open new relational doors while sharing the love of Christ. The first week we will be training and acclimating doing day trips (driving and hiking) to learn more about the local culture and history. The second week will be a multi-day PR trek through an established, yet remote, pilgrimage trail around one of the largest mountains in the area. The third week will be traveling through remote villages. Teaching English in a classroom setting allows ELIC teachers the opportunity to invest in the development of intentional relationships with students. Teachers will be trained in interpersonal ministry strategies, which they’ll use as they develop friendships with their students outside of the classroom. They will be taught how to have gospel-centered conversations in everyday settings that will hopefully lead to full gospel presentations. We never fully know the eternal impact that is made from our time overseas, but we do know that even if a seed is planted, it’s victory for the Kingdom! This team will travel alongside Dr Emerson from APU to expand their knowledge of medical practices by shadowing Indian doctors in a hospital for about two weeks as well as setting up clinics around New Delhi. They will also assist a local pastor for a day or two with Vacation Bible School and work with an organization that focuses on social issues for the lower castes. This team is open to sophomores and juniors in biology, chemistry, biochemistry or applied health majors (anyone who is premed). You need to have been a part of Team Luke, with Mexico Outreach, at least once. If you haven’t done that, you can participate Thanksgiving of 2018 or during Spring Break 2019. This trip is an opportunity for the APU Bel Canto choir to continue their ministry throughout Indonesia this summer. Come to the Philippines to serve alongside people who are experiencing poverty in the greater Manila area. Be mentored by experienced World Team missionaries and spend time ministering to those in physical and spiritual need. Participate in language learning while working with a Filipino house church to serve the community. See how God is using discipleship to transform the hearts of the Filipino people. Experience first-hand the hospitality and friendliness Filipinos are known for and what it means to do ministry in an urban setting. This trip has a strong social justice and social work focus. The team will learn about human trafficking in Thailand and have opportunities to help some ministries that are working to overcome it. These ministries include orphanages, local churches, and ministries that provide job training for trafficking victims. While the refugee crisis in Greece is no longer in the news, it is still ongoing. This team will have opportunities to spend time with displaced people from all around the Middle East listening to their stories, helping them feel cared for, sharing a cup of tea, teaching English classes, running children's programming, etc. Come serve with us in a variety of projects that witness to refugees in Greece! This team will engage in creative arts outreaches which take place in the busy squares of Budapest. These outreaches utilize flash mobs and contemporary Christian dramas to draw large crowds of unreached Europeans. Following the presentation, the team will engage people in evangelistic conversations. The team will also do outreach in the public schools and a Christian cafe using English and performing arts to connect with people and share the gospel. Additional opportunities include visiting families in surrounding villages, serving those who are homeless, encouraging the local church, and offering prayer/intercession. The people of Dublin have become more and more disillusioned with religion. Our goal is to address and meet their practical needs while building relationships and sharing the gospel. Our mission is simply to bring people closer to Jesus. This team will have varied opportunities to serve the people of Ireland such as: An evening outreach to homeless people and addicts, with referrals to a Christian rehabilitation program; Ministry to inner-city children and families, including after-school care, a Bible program, and summer camps: Music ministry: Discussions with retirees over tea and coffee: Prayer-walking through the city and more. This team will assist a local church with outreach to their Muslim community through family visits to outlying villages, teaching/playing baseball in the community, and teaching English. They will also have a unique opportunity to research and develop appropriate support systems for families in poverty using tools to assess their need. The team will partner with locals to choose one family who will receive a micro-finance loan from the host. Share God's love with young Moldovan children who don't know what the love of a father looks like. Their parents are often abroad in other parts of Europe looking for work or struggling with alcohol or finances. You will be a role model to these 'social orphans' and open up their eyes to God's faithful love. As you care to invest your time with them by playing in their sports team, they will learn that they are not forgotten because a creator God does indeed care deeply for them. This team will be hosting tennis camps in Montenegro. They will be using the influence of sports to bring the gospel to individuals that might not otherwise hear it. Furthermore, they will get to be immersed in and encounter the local culture. This team will help organize an evangelistic English camp for Polish Teenagers. Josiah Venture camps have a two-fold vision for growth. First, we long to see the youth groups in local Polish churches grow. Camps provide an opportunity for local Polish youth leaders to raise up a team of students to be equipped in the areas of evangelism and discipleship. Students will be encouraged to reach out to their friends at school and invite them to the camp. They will then have the opportunity to share the hope of Christ with their friends in a safe and relational environment at camp, and continue in those relationships when camp is over. Second, we long to see you and your team grow! Through building relationships with Polish believers and unbelievers, you will have the opportunity to encourage, love, pass on the message of Jesus, and grow in confidence and passion for the lost and the world. Remember the Children is about relationships and consistently telling and showing children that they matter. This trip will provide opportunities for you to do that for a child needing to experience moments of real love. Each day will be spent in villages and orphan homes where we have an ongoing ministry focused on building into the lives of children. You can be a part of helping these kids feel valued and giving them direction toward making good decisions for their lives. We are a community of faith in Jesus Christ, committed to live by faith, to be known by love, and to be a source of spiritual development through the arts. We welcome people from all walks of life, regardless of where they are in their spiritual journey to come and live with us in multi-cultural communities and develop organic missional living through cross cultural immersion and sharing our faith in Jesus Christ relationally and with a Creative Art Focus. Pilgrim House is a ministry of hospitality found at the end of the Camino de Santiago, a historical spiritual pilgrimage dating back to the middle ages. This team will have a two-stage experience: First, they will walk 5 to 7 days of the Camino and then serve fellow pilgrims through hospitality at our Pilgrim House for up to two weeks. Our ministry is to care for travelers so that they encounter the tangible love of God. During their time here we facilitate and encourage deeper engagement with whatever has been stirring during their Camino while offering practical services that are often needed by newly-arrived pilgrims. Join a movement of God in Ukraine reaching young people through English & Music. Fusion camps are based upon building relationships with young people through music. Imagine spending a week with youth: playing and teaching music, and spending time together while telling them about a saving relationship with Jesus. The youth of Ukraine are looking for identity and purpose, and you can be the tool God uses to share hope and life with them. You are in for an unforgettable experience. This is a unique opportunity to learn about innovative waste solutions and participate in environmentally sustainable missions and community development. The team will research and participate in the pyrolysis plastic waste-to-liquid fuel production process as well as organic waste processing. The work will be mental, physical, and spiritual as we work toward community transformation through environmental issues.